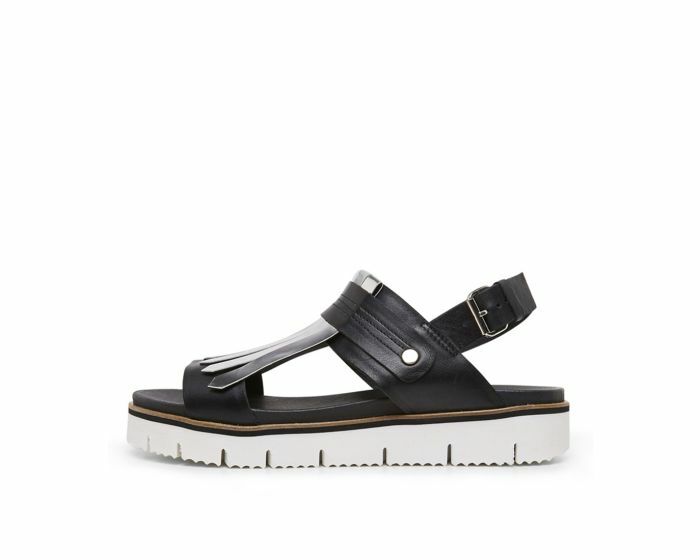 With chic fringe and metallic detail, the Edlyn is an elevated contemporary sandal that would not look out of place teamed with a shirt dress or tailored trousers in a modern office environment. Features leather upper and lining. Lightweight and flexible Rubberlon sole. 35mm sole.